Torvald Klaveness approaches business, ocean development and the environment in the same manner – with open horizons and a drive to improve. CEO and President Lasse Kristoffersen epitomizes a company that, despite its established name, is anything but traditional. Lasse Kristoffersen thinks fast, speaks fast and moves fast. The man who in 2011 became the first CEO of Torvald Klaveness from outside the Klaveness family has just left the stage at Nor-Shipping’s Opening Oceans Conference (OOC), conducted a podcast interview, is about to head to a board meeting, but still wants to take time to outline his vision for a company that, like him, never stands still. Indeed they have. The company started out with crewing and has since been involved in brokerage, technical management, reefers, a derivatives based operating model, it basically invented the concept of dry bulk pools, and, amongst other things, now champions a unique combination carrier concept. It currently operates a fleet of around 120 vessels, with boxships and bulk carriers joining their combination siblings. At present the challenges, issues and problems Torvald Klaveness seems intent on addressing are anchored in two key themes – the environment and digital technology. 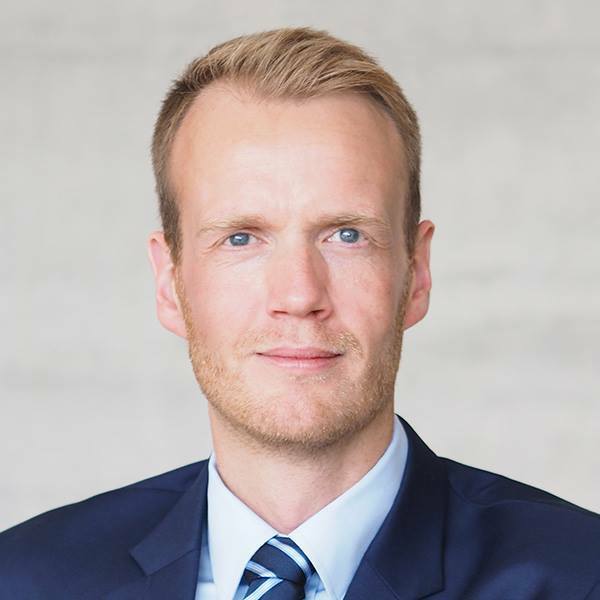 Kristoffersen sees the two as being interconnected and is spearheading a company drive to ‘improve the nature of shipping’. The first is through the company’s combination carriers, which are designed to maximize utilization rates through their flexibility, or as Kristoffersen simply says “to always carry cargo”. The CEO has firm ambitions to grow his fleet and consolidate a world leading position in this niche. When he does so those vessels will be environmental leaders, as Torvald Klaveness also has the objective of only buying steel that produces 50% less CO2 than competing tankers and bulkers. The next key pillar is Klaveness Digital. This offshoot division, launched in 2015 is a game-changer for shipping businesses, with a dedicated team of 15 (anticipated to grow to 20 this year) focusing on data analytics and new digital products and services to both generate additional revenues and address customers’ ‘pain points’. Nor-Shipping 2019, taking place in Oslo and Lillestrøm, Norway, from 04 to 07 June 2019, will be focused on both sustainable shipping and further ocean industry development. Does Torvald Klaveness have plans to get involved in the latter? Kristoffersen appears, as ever, open to ideas. He sees potential for his fleet to contribute to the monitoring of, and potential collection of, plastics at sea, but says the technology and value chain require development. Collaboration with the seafood production industry is also possible, he muses, referencing how the offshore segment has been integral to the development of the offshore wind industry. And with that he’s moving himself, off into the immediate future, a new meeting and, maybe, just maybe, the next big idea.